Blinn’s Dr. W.W. O’Donnell Performing Arts Center (map) will present The Doo Wop Project at 4 p.m. Sunday, March 31. Featuring stars from the Broadway hits “Jersey Boys,” “Motown: The Musical,” and “A Bronx Tale,” The Doo Wop Project brings unparalleled authenticity of sound and vocal excellence to recreate – and in some cases entirely reimagine – the greatest music in American pop and rock history. The Doo Wop Project traces the evolution of Doo Wop from the classic sound of five guys singing harmonies on a street corner to the biggest hits on the radio today. 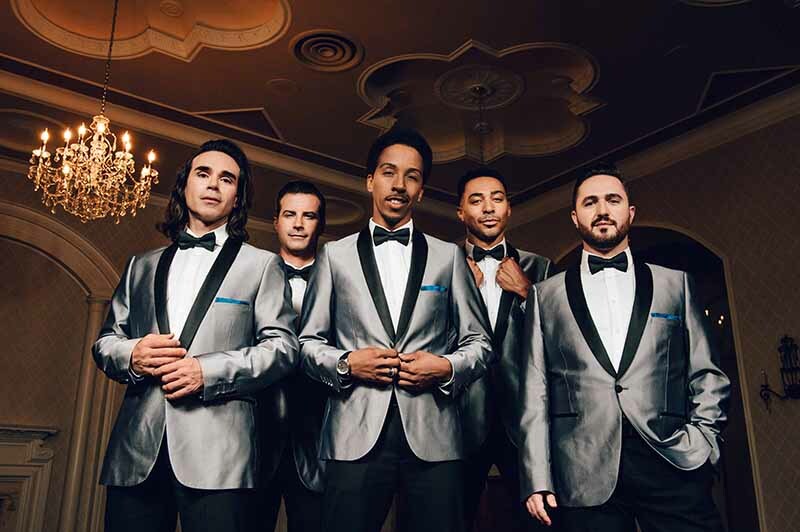 In their epic shows, The Doo Wop Project takes audiences on a journey featuring foundational tunes from the Crests, Belmonts, and Flamingos through the vocal artistry of Smokey Robinson, The Temptations, and The Four Seasons all the way to DooWopified versions of modern hits from Michael Jackson, Jason Mraz, Maroon 5, and Sam Smith. “We are very excited to conclude this year’s Performing Arts Series with a musical showcase that audiences of all ages will delight in,” said Deborah Vavra, Interim Dean of Visual/Performing Arts and Kinesiology. The Doo Wop Project includes Dominic Nolfi (“A Bronx Tale – The Musical,” “Motown: The Musical,” and “Jersey Boys”), Tony Award nominee Charl Brown (“Motown: The Musical,” “Children of Eden,” and “Jersey Boys”), Dominic Scaglione Jr. (“Jersey Boys), Dwayne Cooper (“Motown: The Musical” and “Hairspray”), and Russell Fischer (“Jersey Boys” and “Big: The Musical”). Individual show tickets are $35, and discount $15 tickets are available for children ages 10 and under. Blinn employees and groups of 10 or more can purchase discounted $30 tickets and student rush tickets are $10. Single reception tickets will be available up to five days prior to the show for $20. To purchase tickets, visit www.blinn.edu/performing-arts-series or call 979-830-4024.